2) Choose desired metal roofing type (materials are sorted by popularity among homeowners). 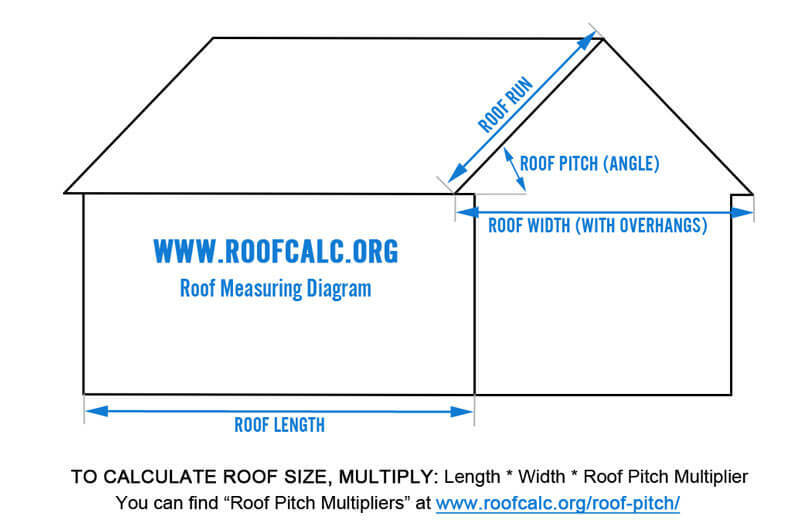 3) Enter your roof pitch, relative job complexity, old material tear-off & building height. NOTE: Job complexity is "relative". Very often what homeowners deem simple, is in fact a medium complexity install. Select "simple" if you have a "Ranch / Cape" style roof, without dormers, skylights, valleys. If you have dormers and other roof "structures", use the "medium" setting. 4) Select your region, or keep the standard National Average price data. 5) Calculate! 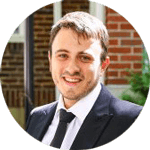 You will get 3 quotes in your area: Low, Mid - range and High - end prices, which will fairly represent most local markets. Here are the average costs of the top metal roofing types that homeowners like to install. 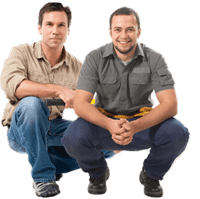 All estimates include: labor, materials, dump fees, building permits, roofer overhead and profit. Note: Costs listed above are based on contractors' prices in our Local Roofers Directory, and 581,952 roofing projects estimated by RoofCalc.org. Installation prices vary by state (see regional details below). Once you start researching various metal roof options, you will notice that there is a wide price range, depending on the type of metal and roofing system you want to install. On the low end, you can install steel corrugated metal panels for about $4.5-6 per square foot (includes labor and materials). This will be followed by steel shingles, at $7.2 - 7.5 per square foot. Stone coated metal roofs are more expensive - $9+ per square foot. 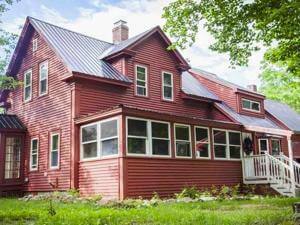 Finally, the king of all metal roofs is standing seam, coming in at $8-14 per square foot. The good news is that if you are committed to installing a metal roof, there are a few economically priced options to choose from. The first thing to know is that the metal itself has a significant impact on price. So if you are looking to save money, go for a cheaper metal. This is the cheapest metal out there. Its sold as corrugated sheet metal panels. G-60 steel not really recommended for use on residential homes, but can be a good fit for a roof of a shed, garage, or a barn. This is the most economical metal that can be confidently installed on a home. G-90, hot dip galvanized steel can come in the form of interlocking shingles, or stone coated tiles/shingles. This steel is covered with zinc oxide to provide corrosion resistance, as well as finished with Kynar 500 paint coatings. G-90 steel is best for stamping applications, rather than bending. This is why you will not see metal roofing panels made with this type of steel, as there is a high risk of micro-cracks. Its a step up in quality and longevity from G-90 steel. Galvalume steel is coated with aluminum zinc alloy, which provides superior corrosion resistance. It also lends itself well to roll-forming, or bending, which is why its used to make metal roofing panels. 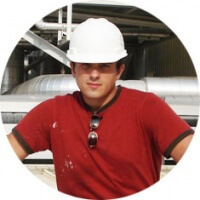 Corrugated steel panels as well as low-end standing seam are made with galvalume steel. Aluminum offers higher quality and durability compared to steel. It also boasts much longer lasting corrosion resistance compared to steel. Thus, aluminum is the best material to use if your home is located near the sea or the ocean. Both shingles and standing seam panels can be made from aluminum. You can expect to pay about $2-3 per square foot extra for aluminum shingles or standing seam panels compared to steel ones. Zinc is a high-end metal that is used on premium roofs, mostly standing seam. The average cost for a zinc roof is about $11.5-12.5 per square foot installed. Zinc roofing is extremely corrosion resistant, and can last as much as 100 years, with minimal maintenance. This is the most prized of all metals, both for its superior durability and unique look. Copper metal roofs are usually standing seam, but can also come in the form of shingles. Copper roofing is very costly, with prices starting at $14 per square foot installed. This is why most homeowners choose to outfit only certain parts of the roof with copper, usually to add curb appeal. Its rare to see an entire copper metal roof. Unlike composite shingles, which can be easily installed by a DIY savvy homeowner, metal roofing requires professional installation. Roofers who install metal have years of training and specialized experience in this field, therefore they charge a lot more for their labor, compared to roofers who install shingles. Overall, you can expect to spend at least 50% of the total metal roofing cost on labor. Standing seam roofs are the most expensive to install, while metal shingles are cheaper. This price difference happens because shingles are easier and quicker to put up than metal panels. Panels also often have to be cut on site to fit specific dimensions of your roof. This requires more time, as well as special equipment, both of which significantly drive up labor costs. Additionally, you should keep in mind that because of all the technical complexities this installation involves, putting up a metal roof usually takes 2-3 times longer, compared to asphalt shingles. Did you know that you can pain your metal roof pretty much any color you can think of? 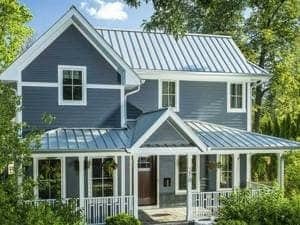 Today, there are hundreds of beautiful metal roofing colors to choose from, that can match any type of siding or house architectural style. 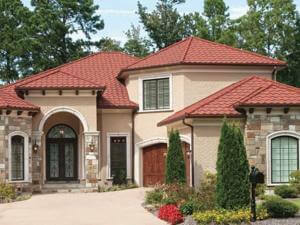 When choosing a color for your roof, its important to be careful about the quality of the color coating. If you want your roof color to stay vibrant and without visible cracks and chips for many years to come, its best to select Kynar 500 or Hylar 500 roof coatings. They have the best chemical composition and the longest warranties in the industry. If you would like to paint your metal roof, expect to spend $1,500-4,000 depending on the size of the roof, and the type of color coating you want to have. When comparing metal roof prices to cheaper materials, such as asphalt shingles, its important to consider how much you will be spending vs saving over the service life of a particular roof. While metal calls for a pretty hefty investment upfront (average of $12,000-18,000), throughout the roof's life time you will actually be saving money. There are also "budget" versions of metal roofs available for around $8,600-11,000, such as R-Panel / 5V Crimp exposed fastener systems. Corrugated metal panels come in many colors, and are even available with Kynar/Hylar coatings (for a little extra cost). A properly installed metal roof requires very little to zero maintenance (aside form an occasional power wash) and no repairs. It is designed to be completely impervious to water and to withstand the harshest weather conditions. Since a metal roof easily lasts at least 50 years, you will be free from this additional spending. On the other hand, if you install asphalt shingles, in the same 50 year time frame, you can expect to pay many thousands of dollars. First, you will go through 2-3 complete replacements, each will cost you $4,600-7,000 depending on the size of your roof, and the quality of shingles you want. 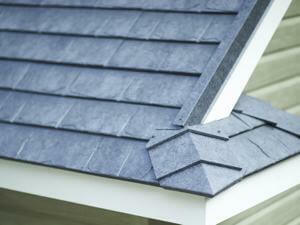 Second, you will have to pay for repairs that will come as a result of leaks, shingles damage, blow off, etc. Each repair can cost $500-2,500+ depending on what needs to be done. This can be necessary every 1-3 years. Lastly, an asphalt roof will require maintenance every 5-7 years, or even sooner. Typically, this involves: securing loose shingles, repairing roof valleys, putting fresh sealant on flashings and roof penetrations. A roofer will charge anywhere from $350-1,500 for this work, depending on scope, complexity, etc. Clearly, if you add up all these costs over a 50 year period, you will find that a metal roof is actually $11,000-16,000 cheaper than shingles! In additional to tangible savings on the costs of energy, maintenance and repairs, a metal roof offers important benefits for the environment. First and foremost, a metal roof lands itself ideally to solar panel applications. Particularly, standing seam panels are most recommended if you plan to go solar. Solar energy is great for our earth, and can also set you free from depending on big energy companies for your electricity and hot water needs. Most metal roofs manufactured today have at least 50-70% of recycled metal content in them. This means that the manufacturing process is a lot cleaner and less wasteful compared to other roofing materials. By the same token, a metal roof that has come to the end of its service life will not end up polluting our earth in the landfills. Instead, it will be 100% recycled. This makes a metal roof the only truly green and eco-friendly roofing material. Does a metal roof add value to your home? Installing a metal roof is a huge financial investment, and any smart homeowner should wonder whether this investment pays off in the long run. Even though a metal roof offers the greatest returns if you stay in your house for many years, it also boasts a high ROI (80-86%), in case you need to sell your home. The average recouped cost of a metal roof is 85.6% In fact, compared to all interior and exterior house renovations, installing a quality metal roof offers one of the highest returns on investment. Its also important to note that some types of metal roofing systems are considered more premium and desirable than others. For example, in recent years, residential standing seam roofing installs have exploded across the states. 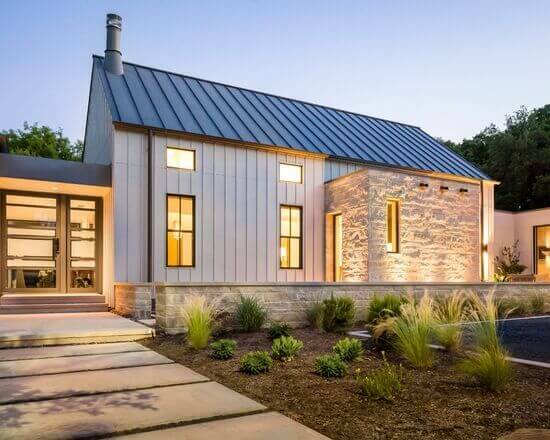 This is the most high-end metal roof, and it looks stunning on contemporary style homes. Standing seam is followed in popularity by metal tiles and shingles. Corrugated metal panels is the most budget friendly choice, but it also has a lower value compared to premium metal roofs. The consensus among builders and real estate experts is that having a metal roof can increase the overall value of your house and drive buyer's interest. Research shows that when two identical houses are for sale, and one has a metal roof, it sells faster and for more money (at least a 2-5% increase) than the other house. Everyone loves the idea of a "forever roof", so metal always wins. Homeowners' preference for metal roofing is especially strong in regions that have regular severe weather, such as: snow storms and ice dams, hail, hurricane level winds, potential for fire, etc. Here, people perceive metal roofs as offering the ultimate protection and peace of mind, which at the end of the day results in very high returns of over 90%.